McKellar is an occasional golf publication named in honor of one Alexander McKellar, a 19th-century Edinburgh tavern-keeper and the man we consider to be the original golf nerd. 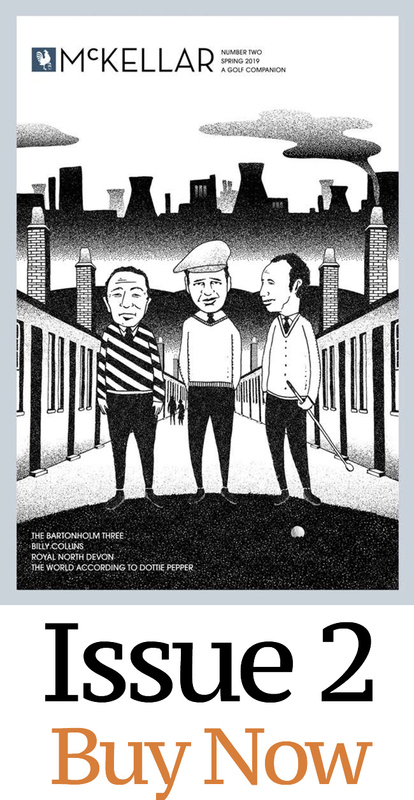 We bring together the finest writers, illustrators and photographers to celebrate golf’s history, to chart its future and to examine what makes the contemporary sport exciting, from travel and architecture to profiles of its most prominent personalities. McKellar is an independent publication driven by ideas and passion, and free of commercial influence. We are primarily reader-supported. That means you! We’d love to deliver our blend of top-quality storytelling and smart design to your home. McKellar is now offering our limited edition t-shirt – a fantastic gift for friends and family. Check out our shop via the link below..
We will let you know what is in the next issue of McKellar and when it is coming out.